An inquiry into the keeping of primates as pets in the UK was launched by the Environment, Food and Rural Affairs Committee (EFRA) before Christmas. No official numbers are kept on primate pets in the UK, but experts consider that they could exceed 7,500. In a written submission, ADI said only a ban could protect these intelligent animals from living in inappropriate environments and social isolation. Defra itself has said that primates “should not be considered as pets”. 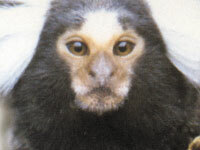 Legislation provides little protection for pet primates. It is not an offence for owners to be in breach of the current guidelines and although a licensing system exists under the Dangerous Wild Animals Act, this does not apply to many primate species, for example squirrel monkeys and tamarins.